Sometimes we see this when the main character of a story is fighting against an enemy of seemingly unsurpassable might; with no other power to turn to, the main character resorts to teaming up with evil in order to defeat evil. And maybe, maybe, he’ll even draw his strength from this person or source of evil. Ichigo Kurosaki is such a main character. 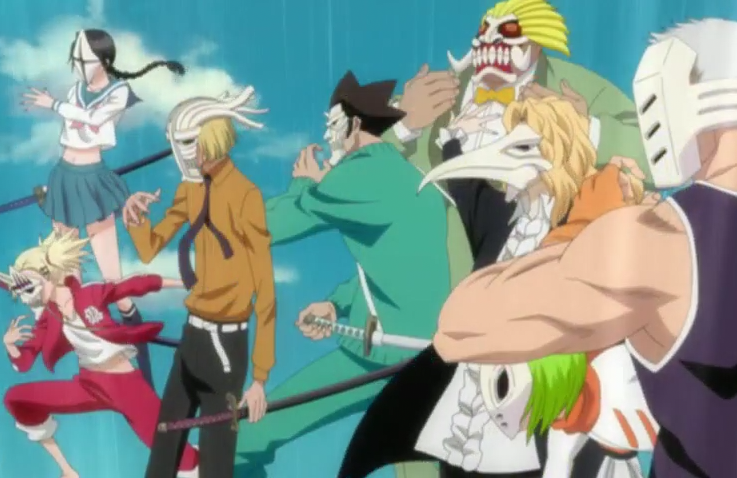 The manga and anime Bleach is easily one of the most popular Japanese comics and television shows out there, particularly in the shonen (boys) category. The story follows the adventures of fifteen year-old Ichigo Kurosaki, who becomes a Soul Reaper in order to protect his family from the hunger of a Hollow: a fallen soul/spirit of the underworld. Ichigo is plunged into a life of protecting innocent souls from Hollows, as instructed by Rukia Kuchiki, the Soul Reaper that gave him his powers as a Soul Reaper. Soul Reapers have the duty of saving souls from Hollows, sending those souls to the Soul Society, and purifying the Hollows so that they too may be admitted to the Soul Society. Every sword that a Soul Reaper has—called a “zanpakuto”—possesses a spirit in itself. This spirit, in both its form and personality/countenance, is a reflection of the Soul Reaper that wields the zanpakuto. There is also an element of mystery encompassing the nature of the spirit which is within every zanpakuto. These spirits have minds of their own; and although they cooperate with their Soul Reaper in order to further the advancement of power their Soul Reaper is able to unleash, sometimes the spirits might endeavor to control their Soul Reaper. Once a person becomes a Soul Reaper and possesses a zanpakuto, his soul becomes intertwined or merged with the spirit that fills his sword. The Soul Reaper draws strength from his zanpakuto, and the spirit of the zanpakuto teaches the Soul Reaper how to wield and unlock the power that the spirit possesses. This bond between Soul Reaper and zanpakuto is intense. Which is why, if a Soul Reaper isn’t careful, the spirit of his zanpakuto might turn on him. 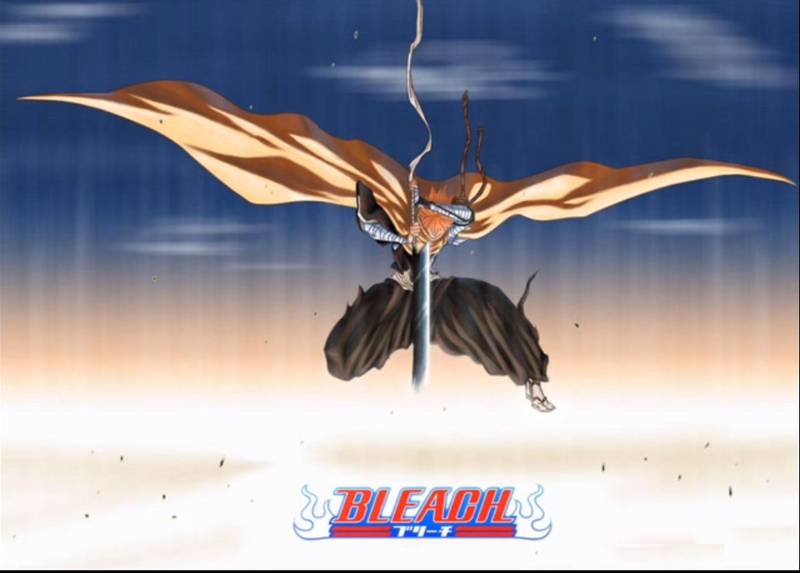 Ichigo’s zanpakuto, and the spirit accompanying it, is named Zangetsu. Originally unknown to Ichigo, there is another side to Zangetsu—a darker side. Zangetsu is one with a Hollow; they are the same person, but one side is good while the other is evil. 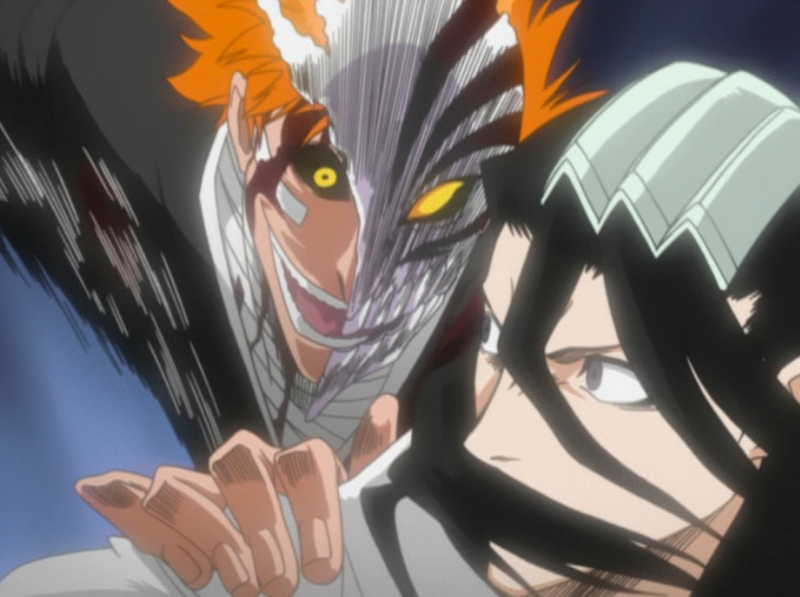 The evil side of Zangetsu was said to have been “born” when Kiskue Urahara—Ichigo’s hippy-of-a-mentor—forced Ichigo into regaining his Soul Reaper powers by using a method called “Encroachment”. Encroachment caused Ichigo to run the line between turning into a Hollow himself, or becoming a Soul Reaper (since he had lost his power as a Soul Reaper). The result on the surface appeared to be that he became a Soul Reaper again—clean, plain and simple. However, underlying his transformation was the merging of Zangetsu with Ichigo’s inner Hollow, who was brought about by Encroachment—as a side effect, so to speak. Yet, it proved to be a much bigger “side effect” than Ichigo expected. When Ichigo battles Byakuya Kuchiki, captain of Squad Six of the Thirteen Court Guard Squads, in order to save Rukia from being executed, Ichigo is suddenly possessed by his inner Hollow. 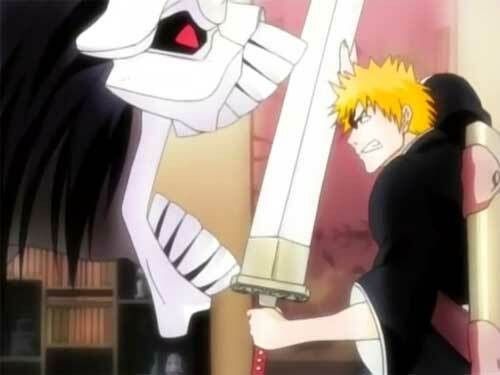 The Hollow saves Ichigo’s life, but states that Ichigo is too weak to be using Zangetsu/himself. At the time, Ichigo is unaware that the Hollow and Zangetsu are the same person. Ichigo regains control of himself. But ever since his battle with Captain Kuchiki and his possession by his inner Hollow, Ichigo is now always subconsciously aware of the Hollow within himself. And the Hollow wants to come out—to control and possess Ichigo. The struggle to maintain control of his own body and soul steadily grows more intense for Ichigo. At the same time, Ichigo’s enemies become greater too. 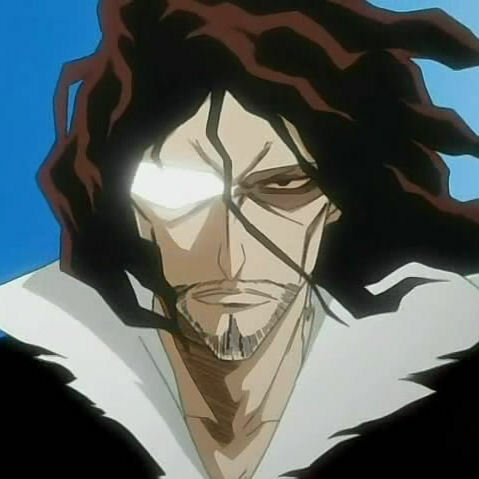 After Ichigo saves Rukia from being executed in the Soul Society, Captain Aizen of Squad Five rebels against the Soul Society. 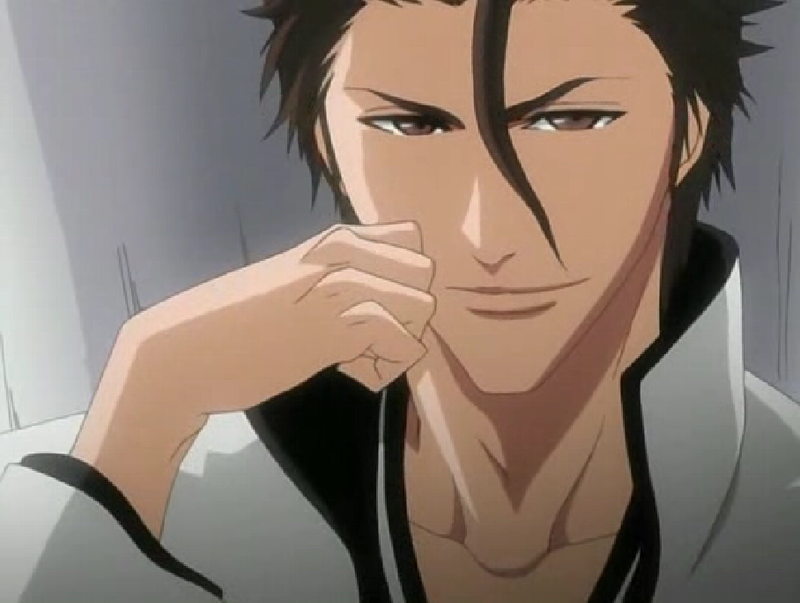 Aizen is incredibly powerful, and he plans to completely wipe out Ichigo’s hometown and kill the king of the Soul Society. Aizen is also surrounded by an army of Arrancars—Hollows with the abilities of Soul Reapers—and the Espada, who are high-ranking, super strong Arrancars. These Arrancars, along with Aizen himself, present a huge threat to Ichigo, his friends, and both the members of the Real World and the Soul Society. Ichigo knows he isn’t powerful enough to defend everyone he cares about. What’s more, whenever he fights and uses more of his own spiritual power, the chances of him being possessed by his inner Hollow skyrocket. His resolve being torn down by the emergence of his inner Hollow, and the threat of exceedingly strong enemies, leaves Ichigo confused and unsure of how he can protect his friends. Shinji Hirako, along with his team of rogue Soul Reapers, invite Ichigo to become a Visored; a Soul Reaper that learns to subdue, control, and use the power of his inner Hollow. They are called Visoreds for the Hollow masks they wear, which are the center of their power. If Ichigo learns how to control his inner Hollow and use its power, he’ll gain an immense amount of spiritual strength. Without the knowledge of how to maintain his inner Hollow, and facing the danger of Aizen and his Arrancars, Ichigo turns to the Visoreds for assistance. 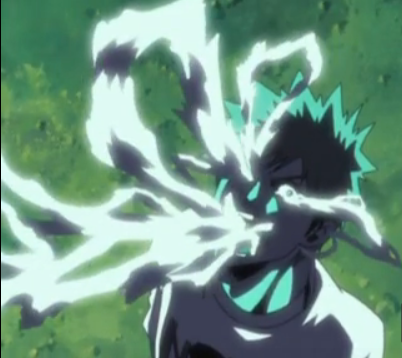 In the end, Ichigo goes within himself and battles his Hollow, defeating the dark form of Zangetsu and therefore being able to harness his energy. 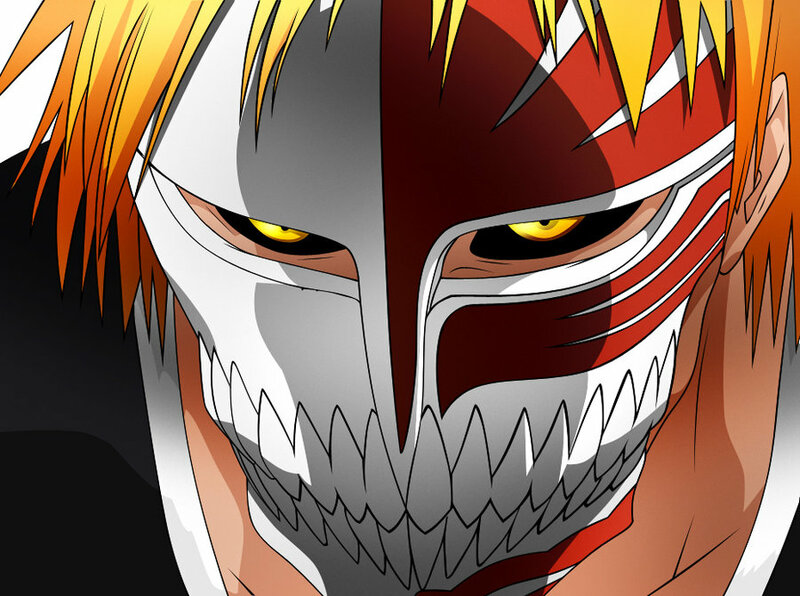 The Visoreds continue with his training, and Ichigo gradually learns to control and use his inner Hollow. The more he battles, the more power he possesses, and the more he relies on using “Hollowfication” as the source of his might. Is it right for Ichigo to resort to using the power of his inner Hollow for the sake of fighting Aizen and saving his friends? Zangetsu, or the dark side of Zangetsu, is clearly something evil by nature. His appearance, his motives, his methods—everything about Ichigo’s inner Hollow possesses some sense of malice and morbidity. Ichigo fights his Hollow and conquers it. Nonetheless, the Hollow doesn’t go away; instead, he allows Ichigo to draw power from him. This power is clearly something dark; Ichigo joins with the evil-side of his soul in order to produce intense spiritual attacks. So, what’s wrong with this picture? This logical statement works could be explained with this example: Say a man wants to become rich. Becoming rich is the “end”. Let’s say further that the man’s “means” of achieving his “end”—becoming rich—is robbing a bank. So here’s where the truth comes in: The means justifies the end. This is a logical/moral principle that encourages people to build good upon good. A good means should bring about a good end. Let’s go back to the man that wants to be rich, but make the example different; now his means is getting a job and working hard, and watching his everyday budget: good. The end? He becomes rich: good. That’s the way it’s supposed to work. Not everybody will become rich, of course, if they work hard and watch their budget. But you get the idea. But then, what’s wrong with Ichigo? What’s wrong with his means? The main thing wrong with the story, in that Ichigo obtains his source of strength from his inner Hollow, is that the line between what’s good and what’s evil becomes blurred. Ichigo takes on the form of something evil, bringing down his own good character, for the sake of something good. This can lead some people into confusion: is that what heroes do? They join themselves with evil to do good? Do heroes turn into monsters or evil spirits for the sake of what’s right? And ah: monsters and evil spirits don’t do what’s right. In a sense, Ichigo does do something good. After all, his end is pure. But his means is not. Evil doesn’t produce good. We can become stronger through dealing with a form of evil that surrounds or threatens us. But evil is never the producer of good. This might sound like a story from the Bible, to some viewers. Joseph, the son of Jacob, (the one with the swagged-out, colored-cloak) is sold by his brothers into slavery to the Egyptians: bad. However, he rises through the ranks of Egypt to become second-in-command and help his family in a time of famine: good. The “bad” stuff—being sold into slavery—didn’t produce the good—Joseph becoming second-in-command and helping his family. In the story, God gave Joseph a way to react to the evil, so to speak; a loophole. But the evil didn’t create the good. Nevertheless, Ichigo clearly endeavors to do the opposite. He draws upon the power of evil and assumes an evil form itself. 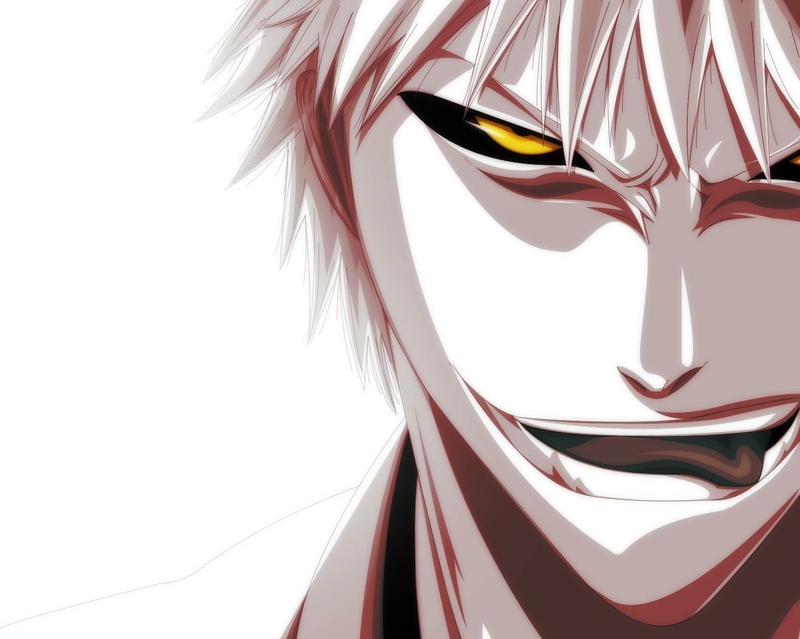 A flaw, or falsity, therefore, corrupts the nature of the story of Bleach. Bleach, whether or not the author Tite Kubo intended this, preaches that we can reach into ourselves and pull out our “inner Hollow” and use it for good. The face of something good is portrayed using the face of evil…doesn’t this seem twisted in any way? Doesn’t that bother you, or seem wrong? Ichigo’s end? Saving his friends and the world. The means justifies the end, not the other way round. Tell me what you think and share your thoughts…I’m really looking forward to hearing your take on this! P.S. My first book in my series The Golden Lands (fantasy/anime based) is still free at Smashwords.com! P.P.S. Just a shout-out to my really smart dad who helped me with all of this logic and philosophy 🙂 You know your stuff, Dad! Ah good ol’ Bleach, I started watching this when Naruto hit it’s big filler phase and I fell in love with it. Thanks for the great article. Bleach is a great anime indeed! Not a problem. Thanks for stopping by! I have a few questions for you. 1. Have you read the manga or just watched the anime? 2. How do you explain Nell and her fracciones (sp?) They certainly don’t behave in a way that indicates them to be evil, yet Nell is an Arrancar and former Espada. 3. How do you explain that hollow-related powers, such as those of the Visards & Fullbringers, are possessed by people who are definitely not evil (namely, Chad & the other Visards), or at worst, misguided (the few Fullbringers who survive)? *** SPOILER ALERT*** The last question I have only apply if you have read the manga beyond the Aisen Souske and Fullbringer story arcs. If you don’t want a spoiler, please skip ahead to the last paragraph. 4. How do you account for the Quincies being the apparent true evil? Perhaps the powers themselves, (Shinigami [aka Soul Reaper], Hollow, and Quincy), are just tools, and the actions and motives of the wielders of those powers are what make the difference between good and evil. Please know, that I do understand and agree with you about good not coming from evil, and ends not justifying the means, but looking at the whole picture, there is an inconsistency in viewing the powers of the various races (that’s what they are if you look at the whole series) in Bleach as the source of the good or evil. It makes more sense to say that the motives, actions, and wills of those possessing the various powers has more to do with the concept of good and evil within the context of the series. Well, I’m glad you understood what I was saying about good and evil and the end not justifying the means. That was the point of the post. To be honest, I’ve never thought of Bleach in that way! That’s actually a really interesting point of view to take. And of course it makes sense, becomes ultimately evil stems from the will, and not necessarily nature. Good thoughts!! I haven’t finished watching Bleach. I just wrote the post based upon what I saw was unfolding or what already happened. And I’ve read a few of the mangas, mainly the one relating to Ichigo’s fight with his inner Hollow, which seemed very relevant to the post (Volume 25). That all being said, I guess I can’t really answer all of those questions. Oh yeah? I guess that makes sense. Ichigo is a pretty popular character in anime culture. Hmmmmm. Intriguing question. Makes one think, doesn’t it? For the sake of entertainment, it’s certainly more dramatic that Ichigo uses an “evil” power to fight evil. The normal black and white idea of good vs. evil can seem repetitive, especially in a virtually linear plot structure like Bleach. But if you take it morally, you’re right. It’s just not morally right to justify fighting evil with evil. So what’s my opinion? As an anime fan, I prefer the manga’s version of Ichigo’s powers of using evil to fight evil. But as a human living in society, I would prefer to use a more morally way of fighting (or not fighting) against evil. Anyway, good post. Made me think. Thanks for submitting it to the Fujinsei Blog Carnival. I hope that you join again next month. Cheers! I can definitely see what you’re saying. If everything was all nice and black and white, it wouldn’t make for a exciting story. To be honest, I actually would’ve been fine if Ichigo had behaved the same way and done the same things, but it was viewed as a bad thing in the end…say, by his friends or something. And thanks for hosting the Blog Carnival! I hope to join again next month! Indeed. Bleach started out strongly, but then the arcs started to feel too repetitive. Anyway, great post. The next carnival will be on June 6. Do participate again. See you. Cheers! I will definitely participate in the next carnival. Thanks so much for hosting it! Strongly disagree with this article. It’s entire premise is (1) Kantian and (2) based on the idea that hollow reiatsu in and of itself is evil. Hollows are evil (generally) but not as a result of their being. There is nothing inherently evil about them. It is their actions that make them evil. Hollows eat humans; hence evil. Arrancar followed Souske Aizen and furthered his attempts to destabilize the world by creating the Oken. There is nothing inherently evil about becoming hollow, or using the powers of a hollow, as long as one does not perform any evil actions. Therefore the means absolutely do not need to be justified. The means aren’t evil. Would you mind describing why you think it’s Kantian? Secondly, I wouldn’t say that Hollows aren’t inherently evil. I understand where you are coming from…but isn’t a Hollow something evil? In the first episode, Rukia is explaining to Ichigo what Hollows are, the role of a Soul Reaper, etc. If the sole function of a Hollow is to eat souls, which is undoubtedly an evil action, then I think we could say that Hollows are evil too. What’s more, even if Hollows aren’t inherently evil, the fact that they have an evil appearance still “messes up” the lines between good and evil, which is what I was criticizing in Bleach, and it’s a theme that extends to many parts of our culture. The things that were once considered evil have become good; it’s a promotion of moral relativism. That is what I was trying to combat.